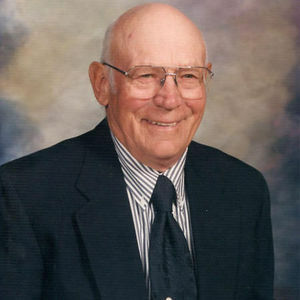 Richard Kosel, 90, Wahpeton, ND passed away on Saturday, September 28, 2013 at St. Catherine's Living Center, Wahpeton under the care of Riveredge Hospice. The Mass of Christian Burial will be on Thursday, October 3, 2013 at 10:30 AM at St. John's Catholic Church, Wahpeton with Rev. Dale Lagodinski as celebrant. Visitation will be on Wednesday from 5 PM to 7 PM with a prayer vigil at 7 PM at Willow Creek Chapel, Wahpeton. There will also be visitation one hour prior to the service at the church on Thursday. Interment will be at Calvary Cemetery, Wahpeton. Arrangements are entrusted to Vertin-Munson Funeral Home, Wahpeton. Richard was born on May 8, 1923 to Jacob and Frieda (Klepfel) Kosel near Forbes, ND. He was the oldest child and attended country school in Albertha Township in Dickey County. He worked for his father on their farm and cattle ranch. He moved with his family to Fairmount, ND when he was 13 and farmed there. Richard was united in marriage to Mary Ann Formaneck on August 27, 1947 at St. Adalbert's Church in Wahpeton. At that time they bought Mary's parents farm north of Wahpeton and farmed there and in Minnesota and Texas. In 2008, they moved into Wahpeton. Richard was a member of St. John's Catholic Church. In his younger years he enjoyed hunting and fishing. He showed an interest in politics, and liked restoring tractors, going to auctions, and driving around looking at the land and the crops. He spent many mornings with the coffee crew at McDonalds and him and Mary spent many winters in Texas and played cards with many friends. Richard is survived by his wife, Mary; his daughter, Linda (Roger) Patterson, Wahpeton, ND; his brothers, Al (Mary) Kosel, Wahpeton, ND, Roy (Mary) Kosel, San Benito, TX; his sister, Violet Gruenberg, Breckenridge, MN; and many nieces and nephews. He was preceded in death by his parents, his brothers, Walter and Ralph Kosel; an infant brother; and his brother-in-law, Harold Gruenberg.